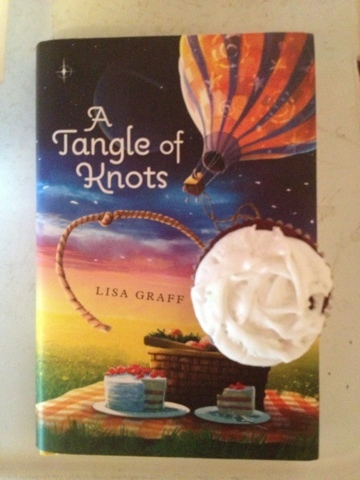 This week's Treat Tuesday is brought to you by A Tangle of Knots by Lisa Graff and a very delicious chocolate cupcake with hazelnut frosting from a brand new bakery in my town called "The Lion's Den". I recently finished reading A Tangle of Knots. It's an interesting genre: what I call "realistic fantasy". In Graff's world, everyone has a Talent with a capital T. The Talents vary from person to person with some being rather mundane (whistling, knot tying...) and others quite unusual. Cady, the main character, has the Talent of knowing the perfect cake for each person she meets. She also has the Talent of baking the cake from scratch with no recipe. (Now that I think about it, Cady has two Talents!) The story is very much like the title: a tangle of knots. Each chapter reveals a new character/plot line/rope. Eventually the characters/plot lines/ropes all seem to interweave and form a huge tangle of knots. 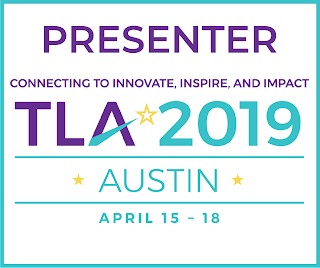 The reader unravels the knots a bit at a time as the connections are revealed or alluded to within the story. It is a very unusual, but captivating tangle of stories. Each chapter also has a recipe for each "perfect" cake Cady makes for the various characters she encounters. 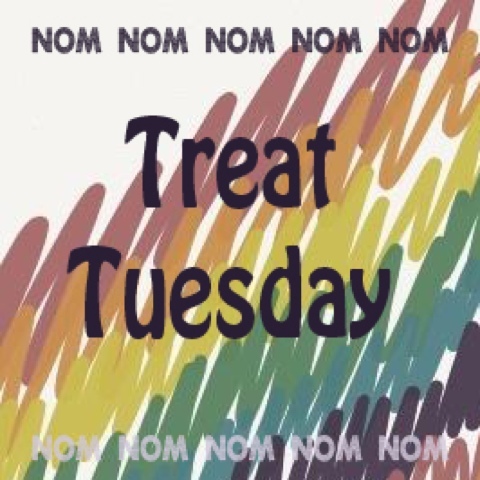 Be prepared to be very hungry for sweets while reading this book! Oh, and peanut butter...mmm! I know that I have many middle grade readers who will enjoy this story immensely. Readers who like piecing together the whole story by collecting clues along the way will find this story a great fit. Enjoy the video of how to make Mrs. Mallory's peach cake and read more about author Lisa Graff on her website!